We did all this in 2014? 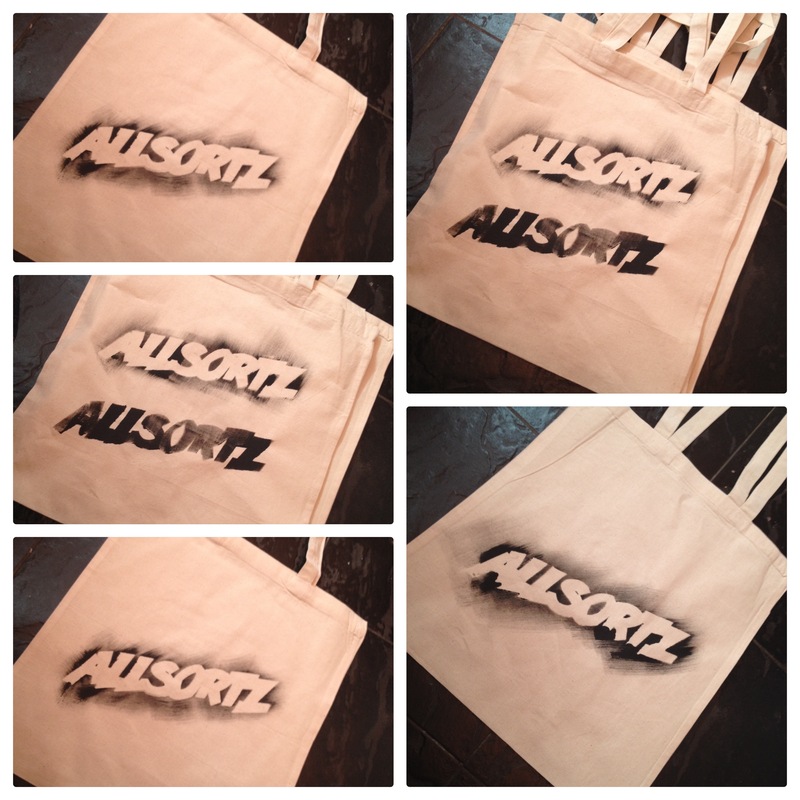 Allsortz Open Mic has been going for just over three years now and what an amazing journey it’s been. This year has been our favourite so far. We’ve become a Community Interest Company solidifying our commitment to provide young performers with a supportive and professional platform to share their talents. 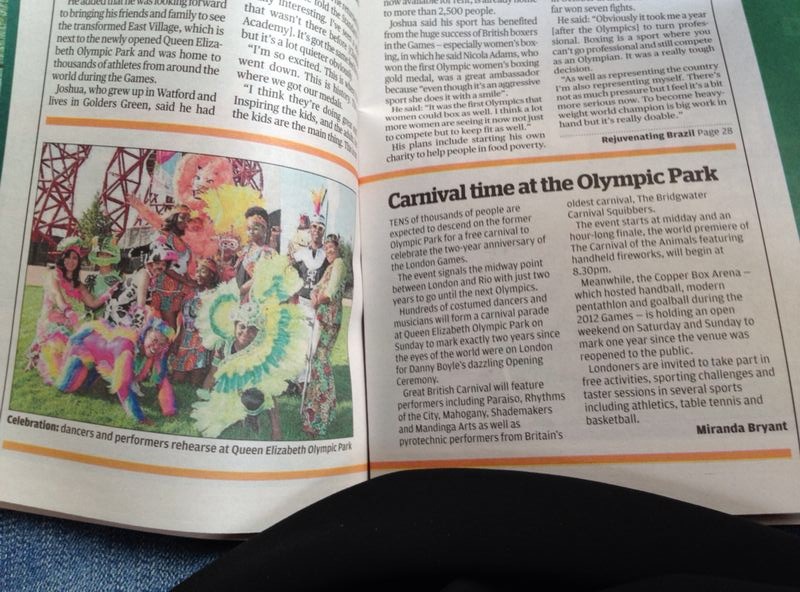 We’ve also pitched up at some pretty amazing venues this year including, Queen Elizabeth Olympic Park, Southbank Centre and Portcullis House. 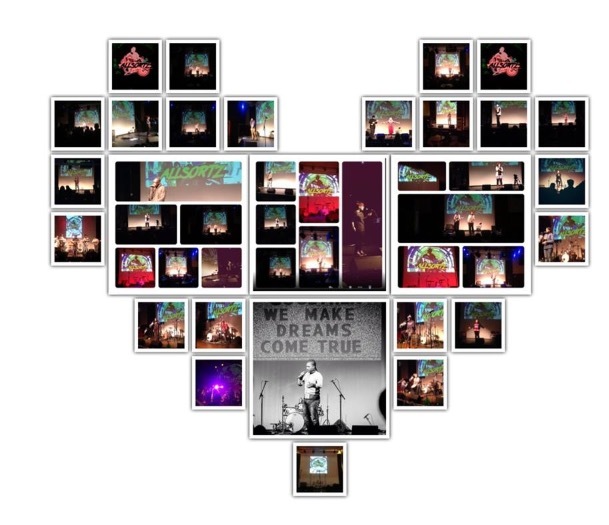 Here are some of the pictures that sum up our great year! A massive thanks to all the performers, venues, live audiences, social media followers and volunteers that have really made this year for us! A few more weeks and we start again in 2015! Be sure to join us! 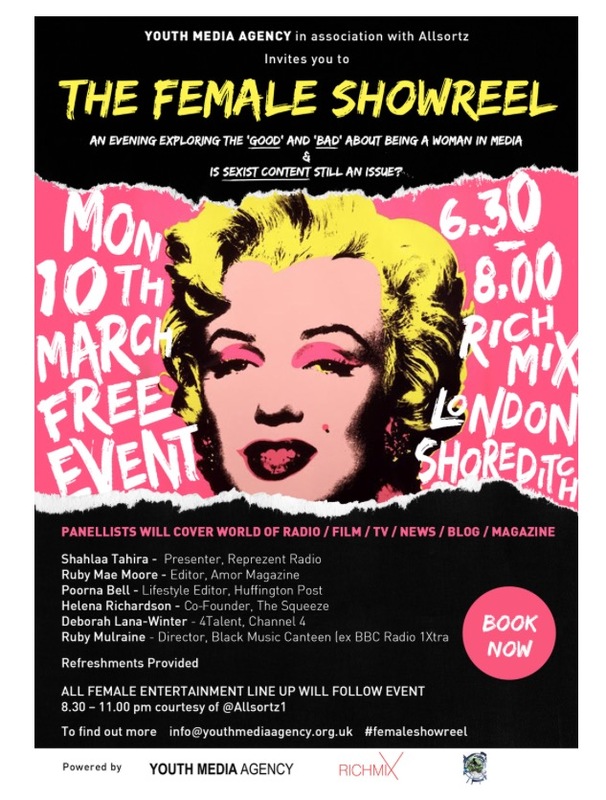 Another month and another great show. King Kash tore up the stage at Rich Mix with his unique mix of hip-hop and rock. 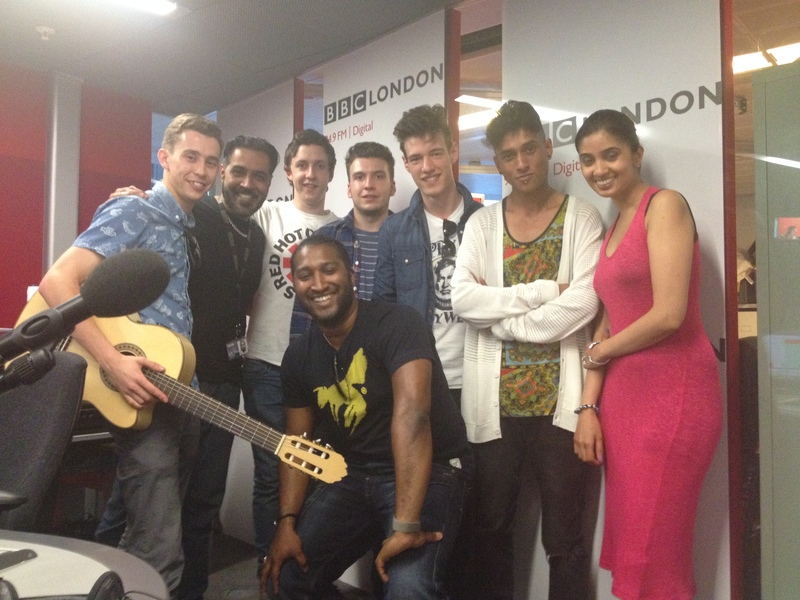 He’s a little selfie of the road trip to BBC London 94.9FM with ultra-talented band, Cielo. Big thanks to Sunny and Shay for providing yet another platform! 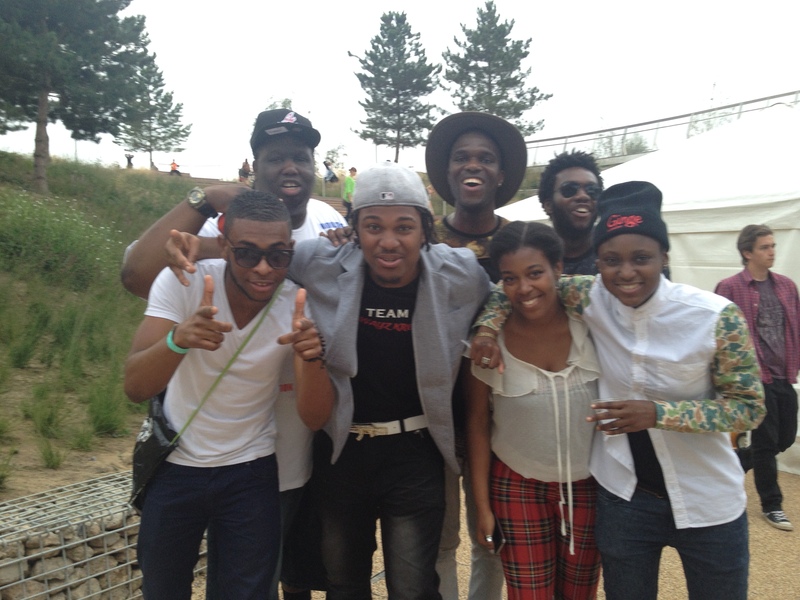 Fast forward to July and we took Allsortz Open Mic artists to the Queen Elizabeth Olympic Park as park of the Great British Carnival. 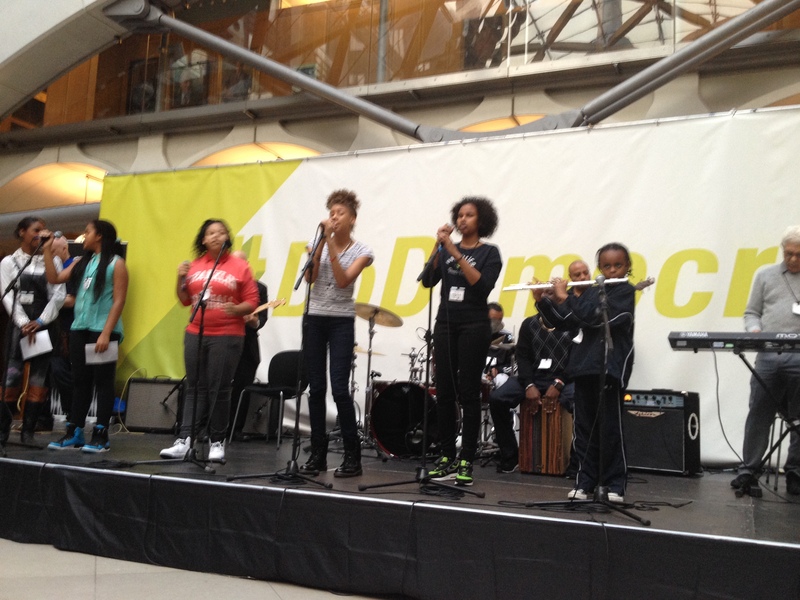 We provided an eclectic mix of 100 performers across three stages sharing their talents with over 50 thousand people! 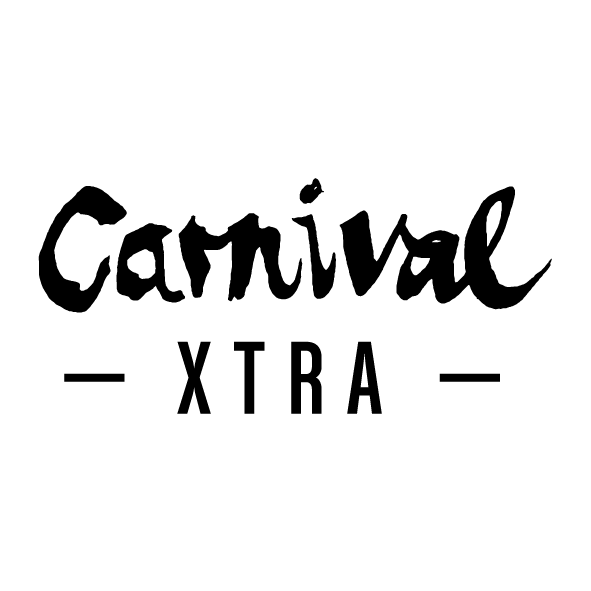 We were massively supported by the Mayor of London’s Peer Outreach Team and formed Carnival Xtra. A quick stop off at Dalston Roof Park for a summer collaboration with Lyrix Organix! 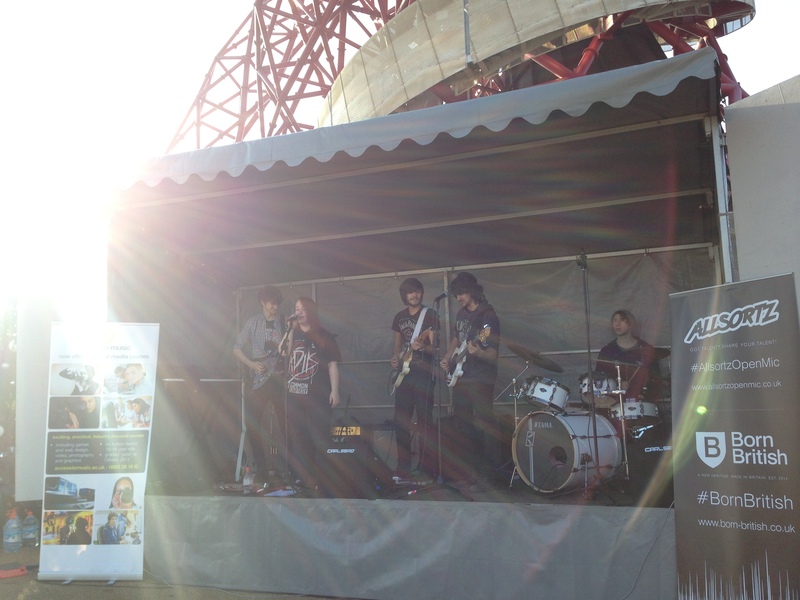 You’re not seeing double, this was Allsortz Open Mic back in the Queen Elizabeth Olympic Park for a special six week run of Sunday Sessions! All part of the incredible London Legacy Development Corporation’s Local Programme. 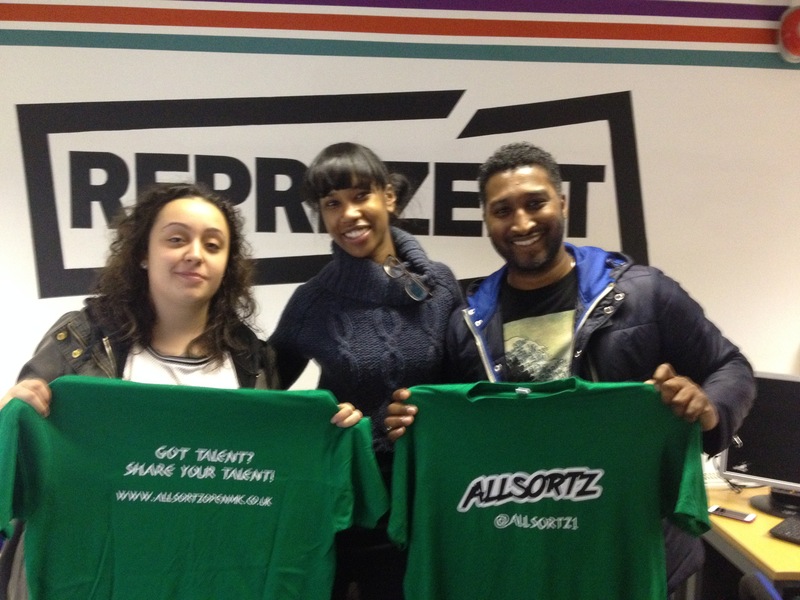 But first a quick stop off at Reprezent Radio for some promo! 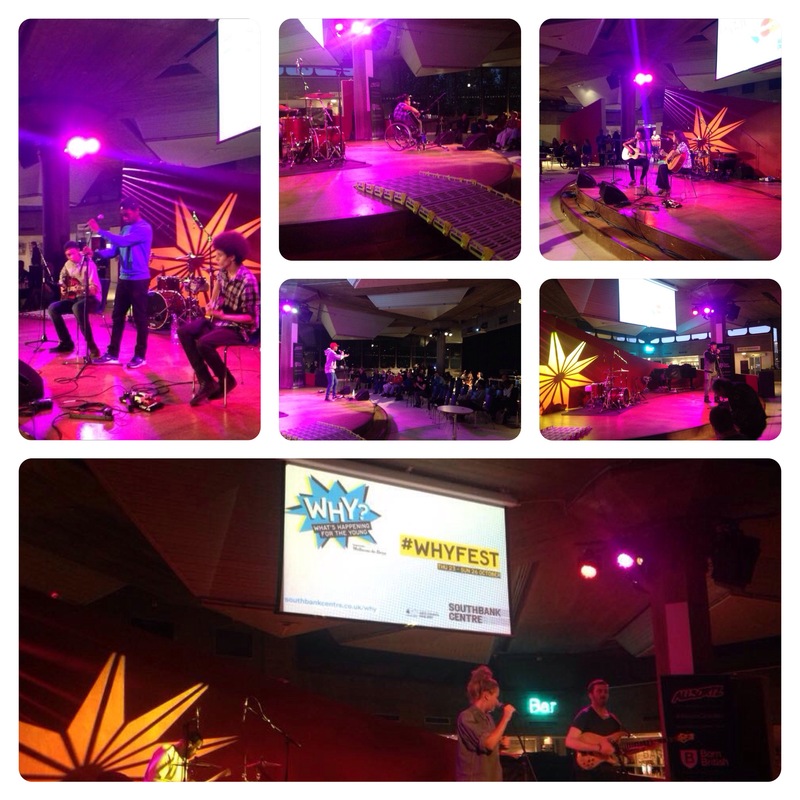 Yep another venue off our wish list – Southbank Centre London! What a great night! 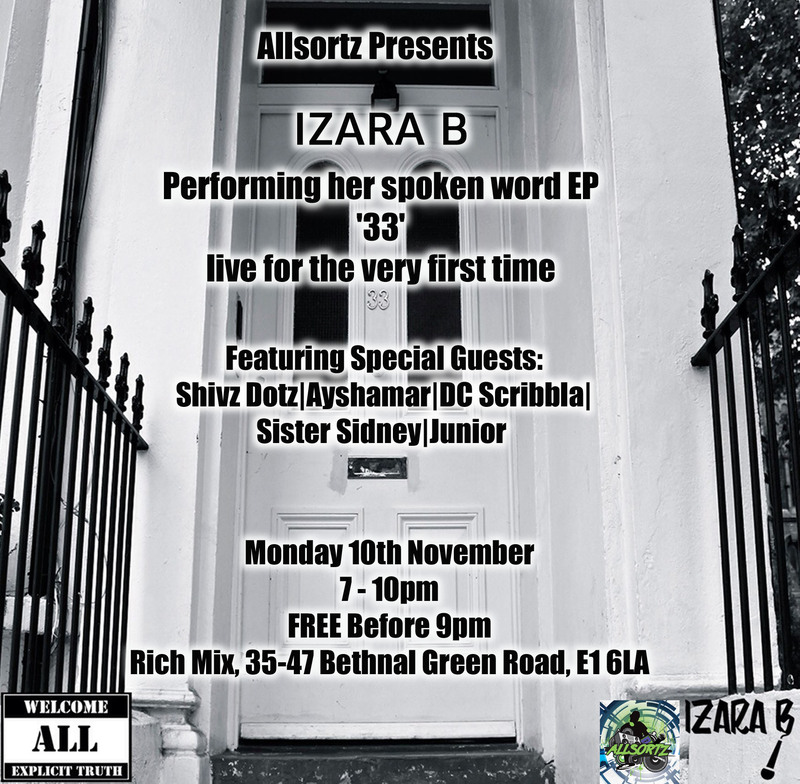 November was a BUSY month, but we still managed to squeeze in Izara B’s very first EP launch night! And finally it’s December! Christmas Showcase time featuring some of this year’s best performers! We honestly couldn’t do it without you! See you all again on January 18th 2015. First to take to the stage were Rock band, A Danger To Us who performed a series of their original, upbeat pieces including “The Rest” and “Pretty Pictures”. The band that have only been a group for a matter of months rocked the stage and drew in a crowd of locals with their distinctive and unique style. Following this were the first wildcards of the day who go by the name of Kryptic and Kustic. 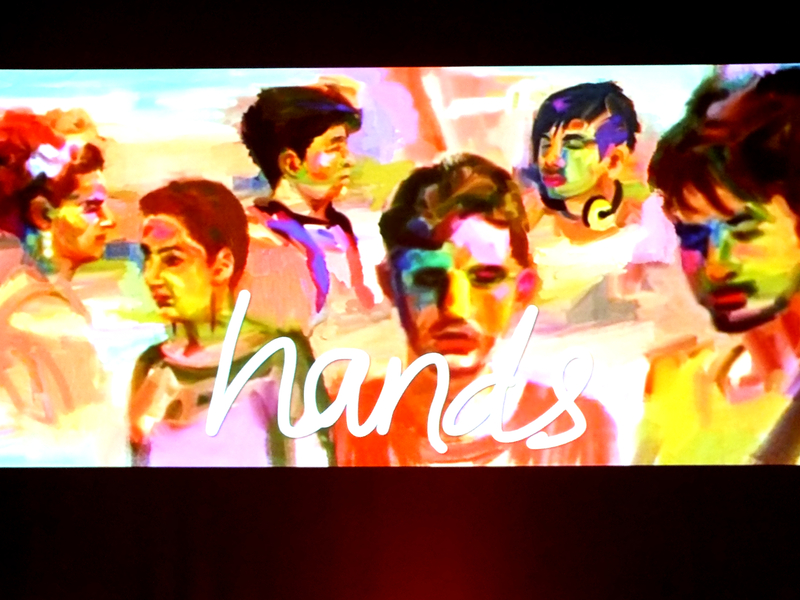 The incredibly synchronized beat boxers blew the audience away with just a minute each to showcase their immense talent and skill, blasting through a range of styles and genres. Other Wildcards featuring on the day were a yet to be named fusion/ collaboration. 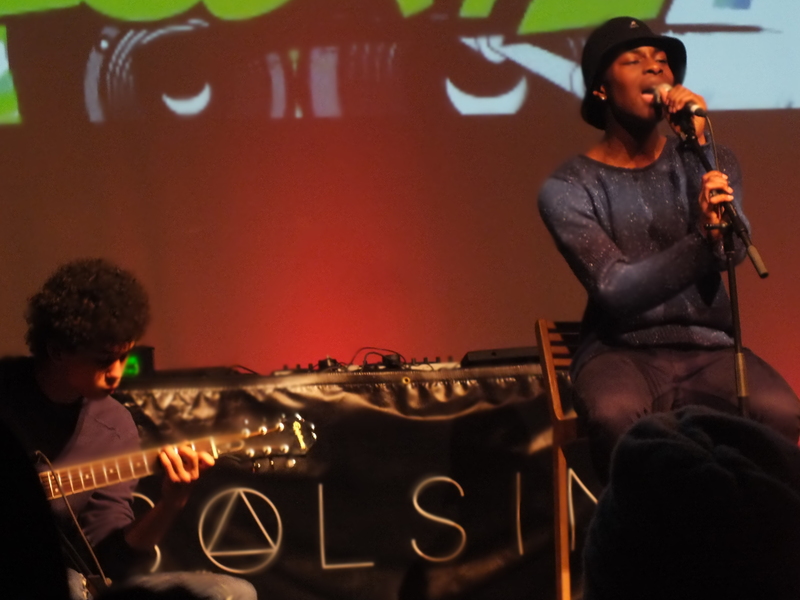 Flor and Maya who sang alongside guitarist Ty, performed a beautiful acoustic version of Beyoncé’s – Drunk in Love and Bruno Mars’ – Locked Out of Heaven. Also to perform was local Jill Redman, who performed a stunning and emotive cover of Roberta Flack’s – First Time I Ever Saw Your Face. 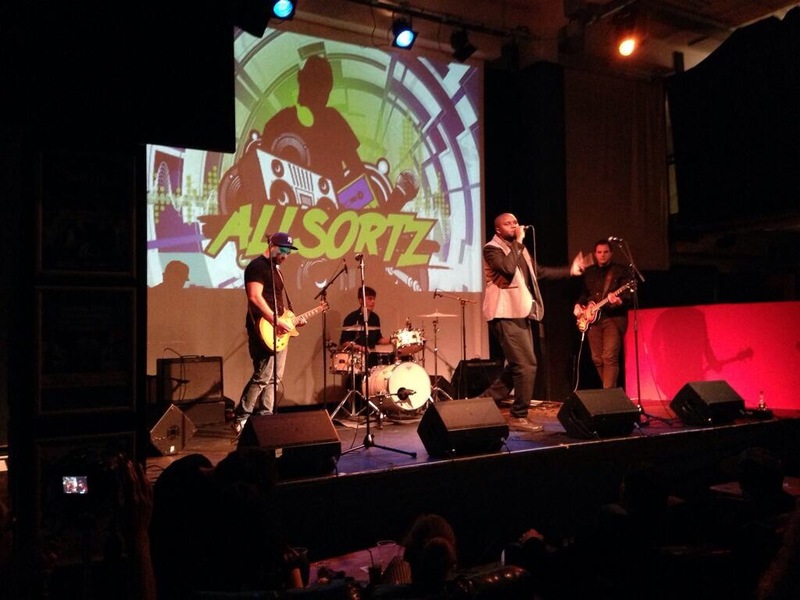 Next in line was Allsortz’s first reggae artist of the six-week line up, Marvin Brown. The vocalist warmed audiences with his lyrical performance; his conscious lyrics touched upon appreciating life despite hardships and maintaining faith through tough times. Despite being under the weather the singer performed his original pieces – “Life Is A Rocky Road”, “Protected By”, and “Fountain” and still managed to stun the audience with his astounding voice. On stage next were gifted rappers Billy Stone and Mr. Dublin. Who performed their song “Chasing Dreams” and “Never Learn”, their characteristic style certainly left local audience members with a sense of determination and perseverance. 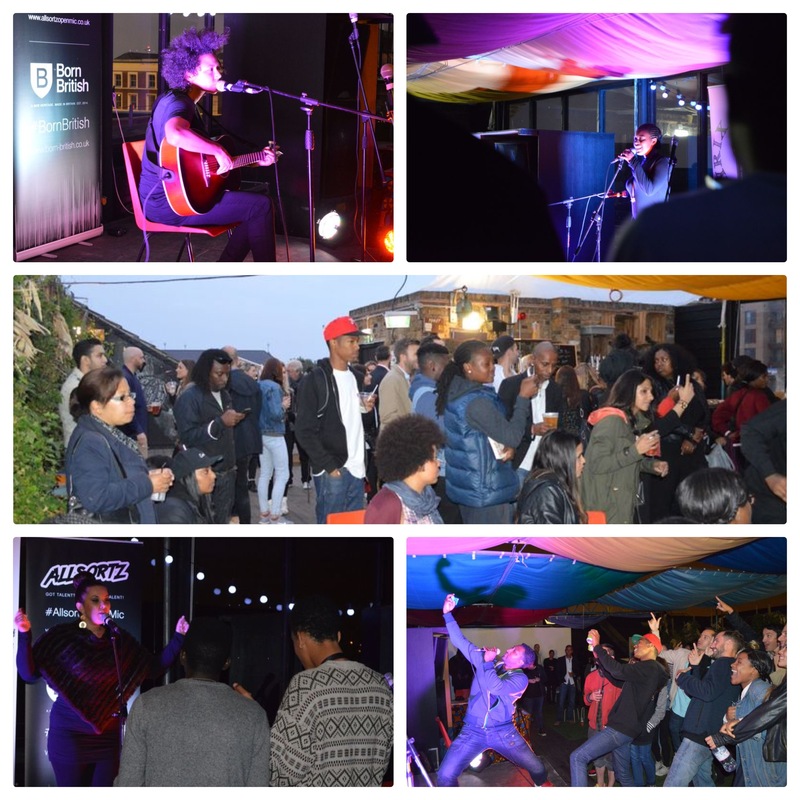 Next up on stage was the incredibly talented singer-songwriter Lani Bowerman, whose innocent and pure voice resounded throughout the park and amongst locals. 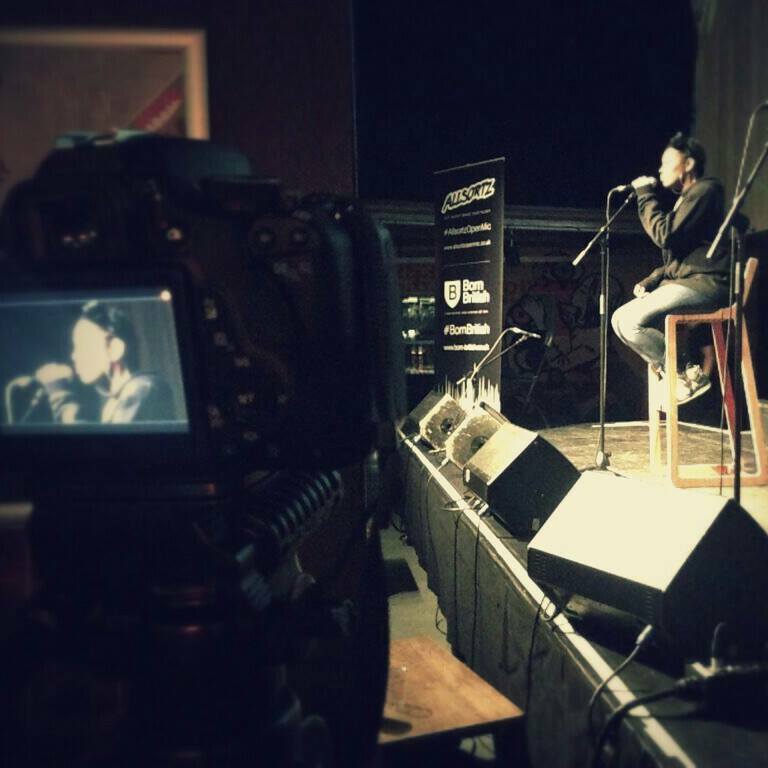 The young singer performed he very own original acoustic songs “Here We Go Again” –highlighting the focus on changing the world instead of ourselves; she also performed her piece “Where We Are”. Singer Shaquille then followed this with an emotive cover of “Thinking of you” – Ed Sheeran; the modest singer of outstanding abilities warmed the audience as the day became chilly. Following this, was a performance from… who brought the spirit of Christmas along and onto to the stage, the lively artist received maximum appreciation resulting in audience members singing and dancing along to her songs and later requesting and encore performance. Her pieces are titled “Go Elsewhere”, “Worthless” and “Hurry Hurry” – which was the first Christmas song of the Allsortz Sunday sessions and definitely put locals in a festive mood. Next was Singer Adir Tov and his band who performed a mixture of covers and original works, the upbeat and energetic singer performed well-known pieces “Summertime Sadness” – Lana Del Ray and “Valerie” – Amy Winehouse. The singer’s lively sounds definitely created a buzz among the audience creating an atmosphere of fun and dance. The final act to round of six-weeks of amazing talent was the one and only Miss Sha, whose silky vocals brought the day at Queen Elizabeth Olympic Park to a mellow close. The singer performed “My Type of Guy” one of her originals and a cover of “Wake Me Up” – Avicii. 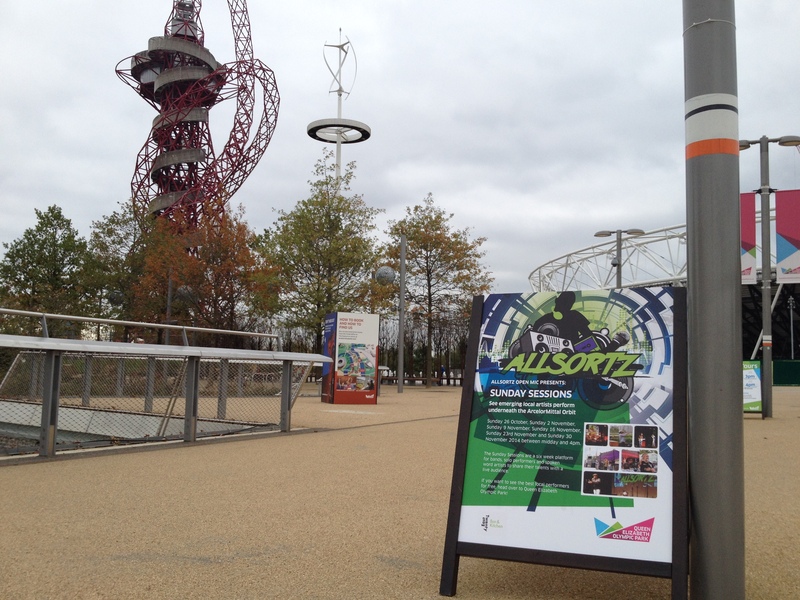 Last Sunday marked the fourth of the weekly sessions held by Allsortz under the AcelorMittal Orbit inside the Queen Elizabeth Olympic Park promoting the amazing talent to found in London. This week, the first on stage was singer-songwriter and entertainer Clinton Elvis, who gave locals a taste of his tropical vibes. The singer brightened the stage with his energetic performance of his original songs including his “Control My Mind” and a touching piece highlighting the struggles of a mother, titled “Momma Don’t Cry”. Next to be introduced on stage was the refreshing Vocalist Ella CR, who performed a series of tracks from her E.P “Brand New Me” which was released last Friday. The lyrical singer performed a fascinating set using a drum pulse, and loop machine to record her vocals live on stage, then performing her original pieces on top, allowing the audience to witness the creative process when writing a song. 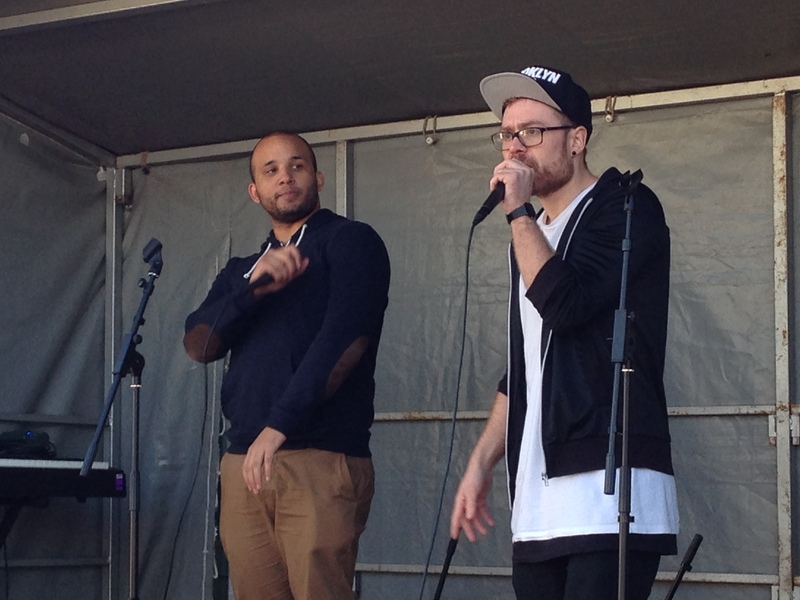 To follow this were Wildcards J.E.T who began their slot with a cover of Boys II Men – “I’ll Make Love To You”, the trio of silky vocals had audience members in awe of the well-choreographed performance. 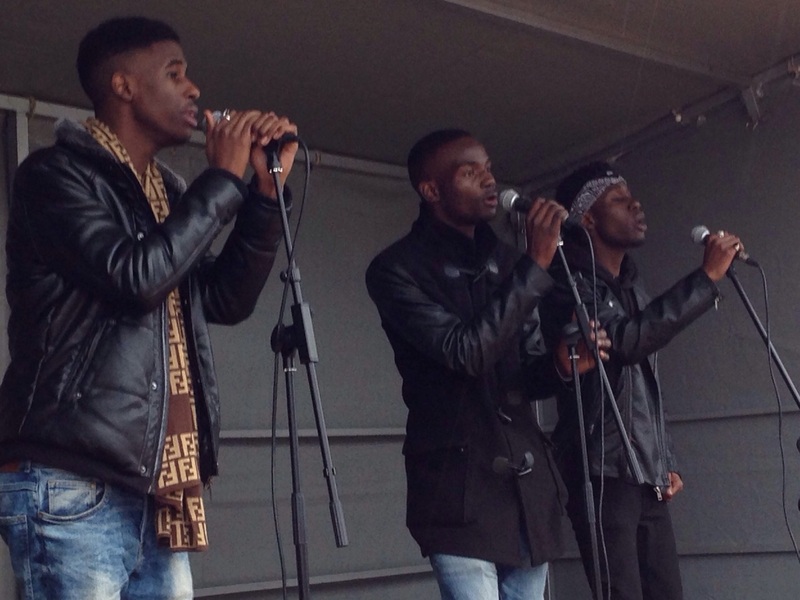 The group also performed their original acapella song “Love Like You”. 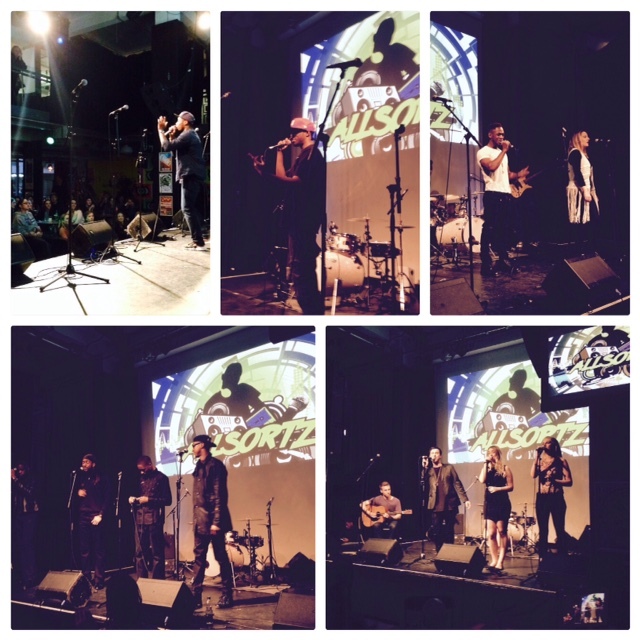 Other wild cards of the day included Soul/RnB singer Deleelah who performed a few tracks from her latest Album, “Devine Evolution”; Young K who graced the stage with his precise lyricism and American style. 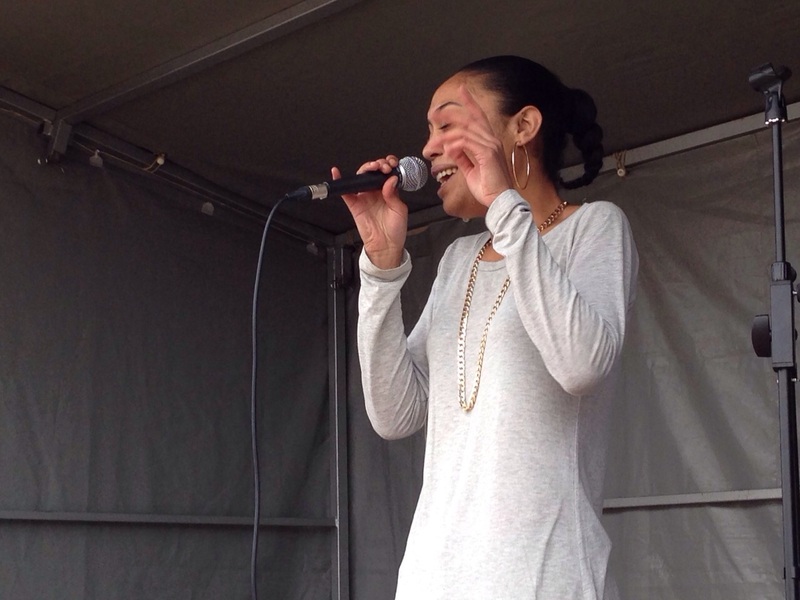 The final wildcard of the day was the incredibly gifted rapper Kayroe who shared some inspiring words with the locals of Queen Elizabeth Olympic Park. Singer Rajiv also performed a few of his captivating and upbeat tunes; a stinking feature of the talented singers pieces was the universality of the lyrics therefore grabbing the audience’s attention with its relatability. He also performed a very simple but beautiful rendition of Beyoncé’s “Sweet Dreams”. 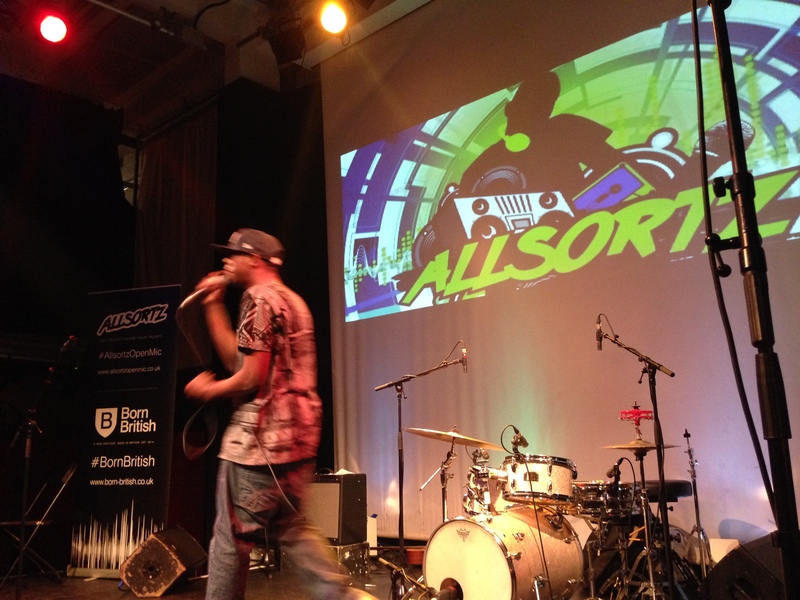 Next in line was spoken word artist Jolade who stopped audiences in their tracks with some profound words exploring self-image, taking responsibility for actions and understanding that we control circumstance definitely stirring some thought amongst the park audience. Kaisler was next to grace the stage with her quirky style and expressive vocal techniques, the singer began by livening the stage with a few of her original pieces generating an uplifting atmosphere and inspiring dance among locals. 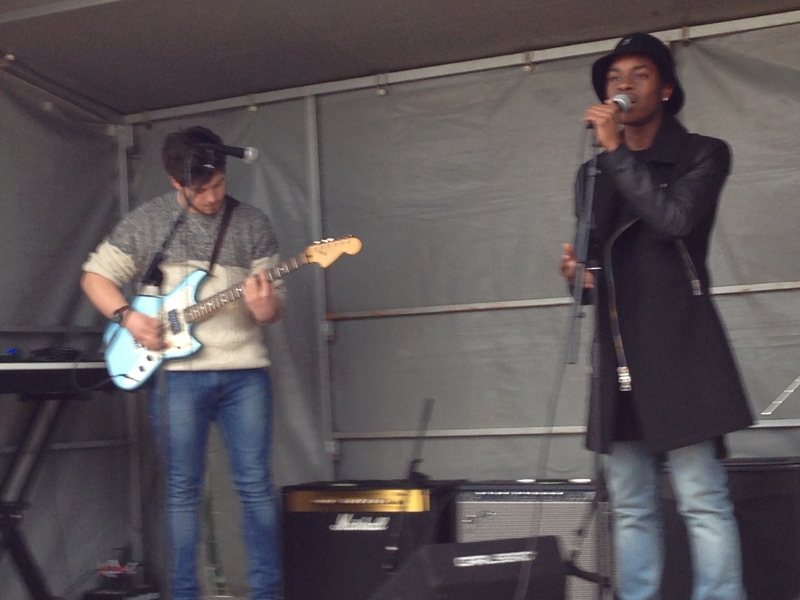 The final main slot of the day to feature on stage was the multi-textured vocalist Kit Rice, who performed a series of tracks from single, yet to be released on the 24th November. 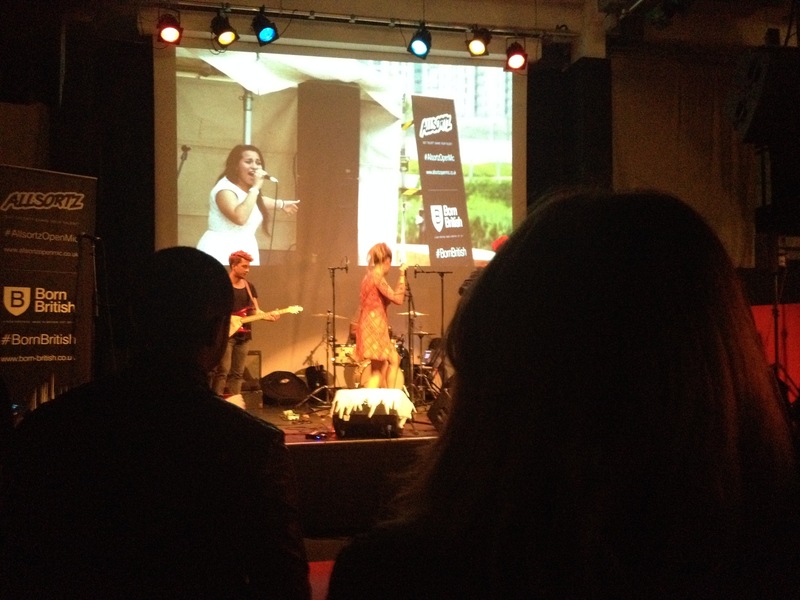 The singer who sang with soul wrapped up the event nicely!